Whenever musicians that I like announce shows in The Netherlands, I tend to keep an eye on who their support act will be. Especially when they’re bringing someone with them for a full tour. The reason being that the chances are I’ll like the support act’s music as well. Sometimes it’ll be a disappointment, other times you’ll end up listening to their music a lot. 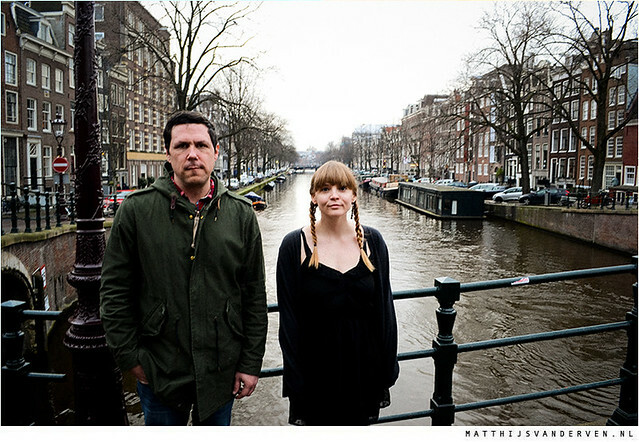 Which happened when Courtney Marie Andrews joined Damien Jurado on his European tour in February and March this year. Due to a miscommunication, we couldn’t film the session at the venue where Jurado and Andrews would perform later that day, so we had to reschedule it for a couple of weeks later, on the last day of their tour in Europe. So about twelve hours before she had to check in for her flight back to Seattle, we filmed this session in a hotel room close to Schiphol Airport. If you listen closely you’ll hear the airplanes take off and land. Which is the perfect introduction to her first cover of Blaze Foley’s song If I Could Only Fly.